The C57BL/6 mouse is the most commonly-used inbred mouse strain available and is employed in numerous research areas, including immunology, genetics, diabetes and obesity, neurobiology, cardiovascular biology, and developmental biology. They are routinely used as the background strain for generation of congenics carrying modified genes and/or transgenes. These mice carry the H-2b haplotype and their immune cells are commonly used in immune-based assays. Further, the C57BL/6 mouse is biased towards a Th1 cell-mediated immune response when challenged appropriately. 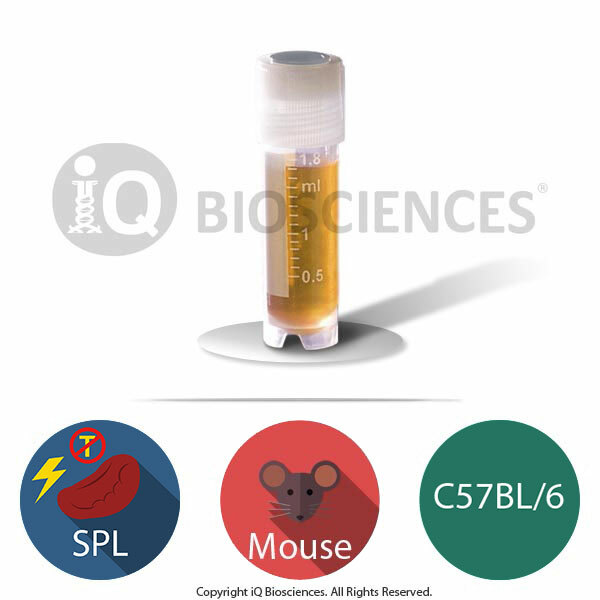 Together, the C57BL/6 mouse has been extensively used to study numerous scientific questions and their cells (like these C57BL/6 mouse splenocytes) may offer many experimental benefits depending on the parameters of your experiments. Irradiated mouse splenocytes depleted of T cells can be used as antigen presenting cells, stimulation/feeder cells or target cells in a wide variety of immunology-based applications. Unlike unirradiated cells, these cells will not divide or respond to stimulus. However, the antigen presenting cells found in the splenic population, such as dendritic cells, macrophages, and B cells, can present antigenic peptide to stimulate exogenously added CD4 and CD8 T cells, such as those from T cell receptor (TCR) transgenic mice whose T cells bear only one TCR of known specificity. In these types of co-culture studies that require antigen presentation, peptide is added to the irradiated cells, which present the peptide to activate the T cells to produce cytokine, proliferate, and perform cytotoxicity on the irradiated cells. In some cases, these experiments will require irradiated cells that do have not have contaminating T cells that may interfere with the procedure and/or readout. 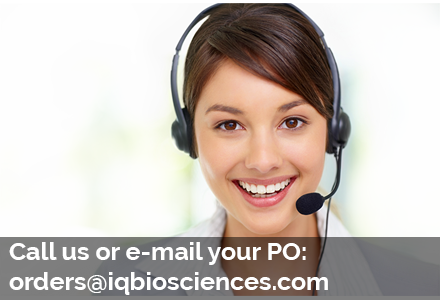 Therefore, iQ offers a line of irradiated of splenocytes in which the T cells have been removed to prevent any of those issues. Spleens are isolated responsibly from C57BL/6 congenic mice at third party facilities. These facilities are vetted to ensure they operate according to local regulations and laws. Since the facility is local, the tissue is quickly transported to iQ’s facility for processing. Once at our facility, the splenic tissue is carefully dissociated through a gentle mechanical process to generate a single cell suspension under sterile conditions. The suspension is then carefully passed through a filter to remove any fat and/or connective tissue and subsequently depleted of red blood cells in a manner that is not damaging to splenic cells. To remove T cells, splenocytes underwent magnetic isolation that separated T cells from the rest of the splenic populations. Post-isolation analysis by flow cytometry showed <10% T cell contamination, demonstrating an enriched splenic sample lacking T cells. After obtaining T cell-depleted splenocytes, the cells are irradiated using X-ray radiation at a dosage that stops cell division, but permits retention of cellular processes, including antigen processing and presentation. The irradiation is performed at a world class institution that abides by state and federal regulations regarding radioactive usage. Our C57BL/6 mouse T cell-depleted irradiated splenocytes are cryopreserved carefully using iQ Biosciences’ cryopreservation protocol that ensures high viability (typically > 70%) after thawing.